ARIZONA is home to beautiful and rugged scenery, desert and mountain landscapes, natural bridges and spectacular caves, ancient archaeological sites and old mining towns. The 32 state parks were set aside to protect some of these places. Here are nine of them. 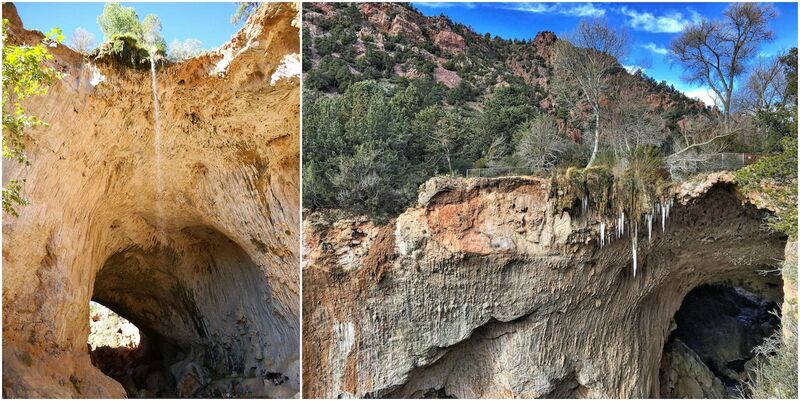 Tonto Natural Bridge is one of the largest natural bridges in the world, is also the only one formed of travertine. This bridge is visible from a few viewpoints from the paved trail on top. Take the Gowan Trail to the observation deck at the bottom of the bridge. Wear good hiking/walking shoes and be careful since the trail can be slippery. Other trails lead to a swimming area, caves, and waterfall. Bring a picnic, you have a choice of several covered tables and barbecues, and stop at the historic lodge and gift shop. 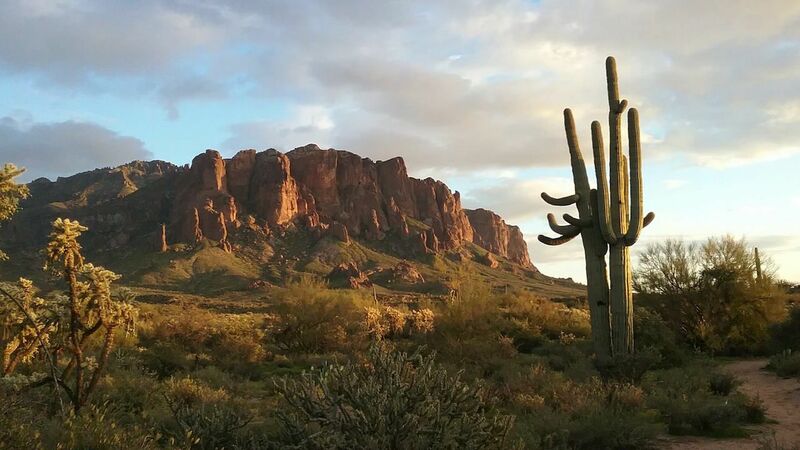 The Lost Dutchman State Park is named after a yet-to-be-found gold mine believed to be somewhere in the Superstition Mountains near Phoenix, AZ. Stop at the Lost Dutchman visitor center and pick up a brochure to learn about the legend of the lost Dutchman and his gold mine. 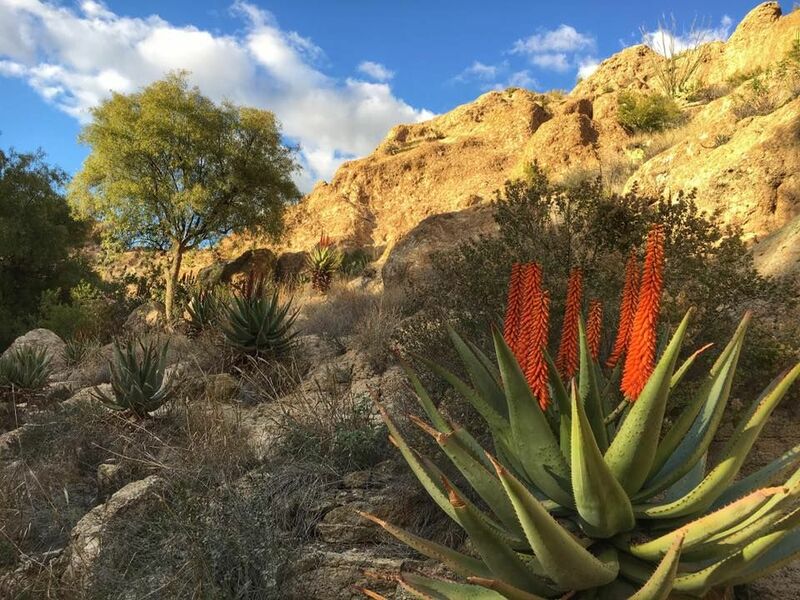 Walk the Discovery interpretive trail and learn about the desert plants. If you are up for a challenge, take the Syphon Draw Trail to the top of Flatiron. Make sure you carry plenty of water, wear good hiking shoes, sunscreen and hat. Or, you can bike the newer Mountain Bike Loop Trail around the park’s perimeter. The park is also set up with picnic areas, as well as campgrounds. Close to the town of Sedona, Red Rock State Park is a nature preserve along Oak Creek. A great hiking system runs for about 5 miles throughout the park, consisting of several interconnected loops, offering an opportunity for easy hikes. The trails take you through juniper and manzanita forests, along the banks of Oak Creek, and offer great views of the surrounding red rocks, including Cathedral Rock. Stop at the visitor Center and check out the hands-on exhibits. Slide Rock State Park is the most popular recreation spot near Sedona. It was originally an apple farm, the Pendley Homestead. The orchard and the historic cabins are still open for visitors, but visitors come to experience sliding in the creek through natural slick rock. 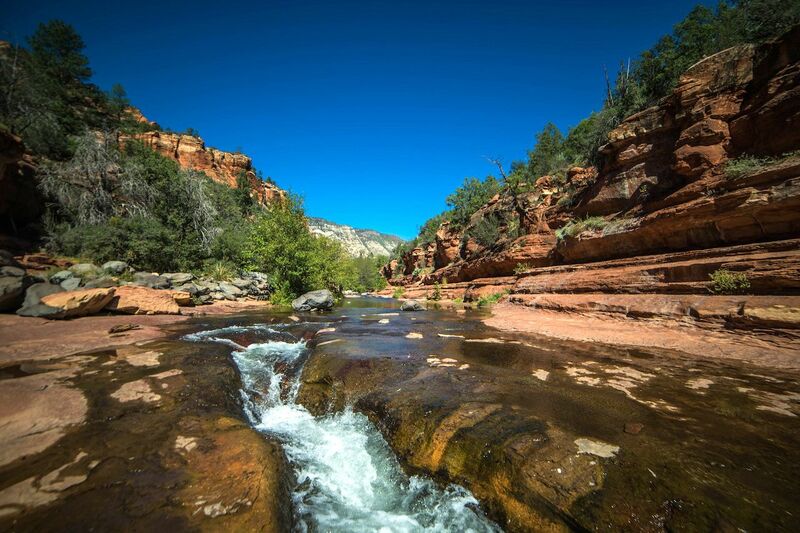 To get to the slide rock swim area, take the 0.3mile Slide Rock Route trail along Oak Creek. Since the slide is so much fun and easy access from the main road, the park gets very busy during the summer. Try to visit mid-week and early in the day, to avoid most of the crowds. Pay attention to any water quality signs posted. 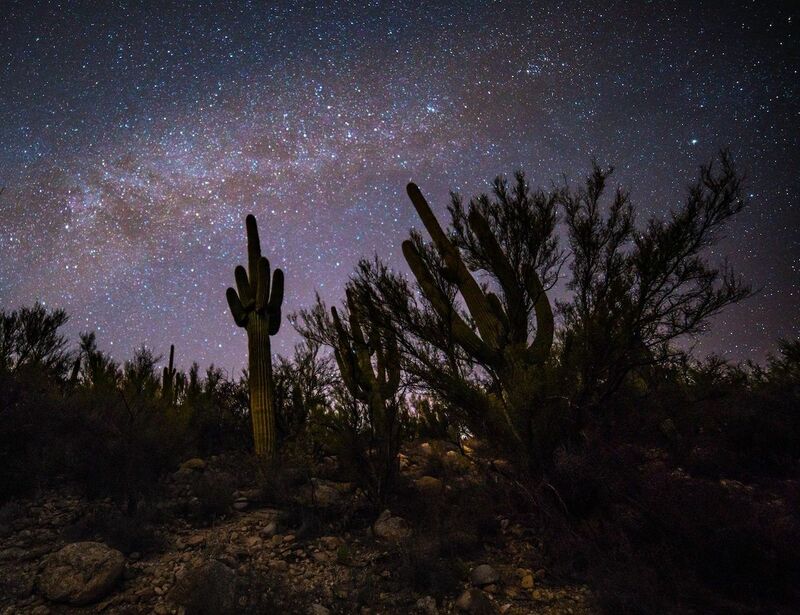 Catalina State Park, at the base of the Santa Catalina Mountains, near Tucson, is home to nearly 5,000 giant saguaros and many other desert flora and fauna. Families with young children can choose between a few easy nature trails, all under two miles. More seasoned hikers can challenge themselves by taking the nine-mile Sutherland Trail. 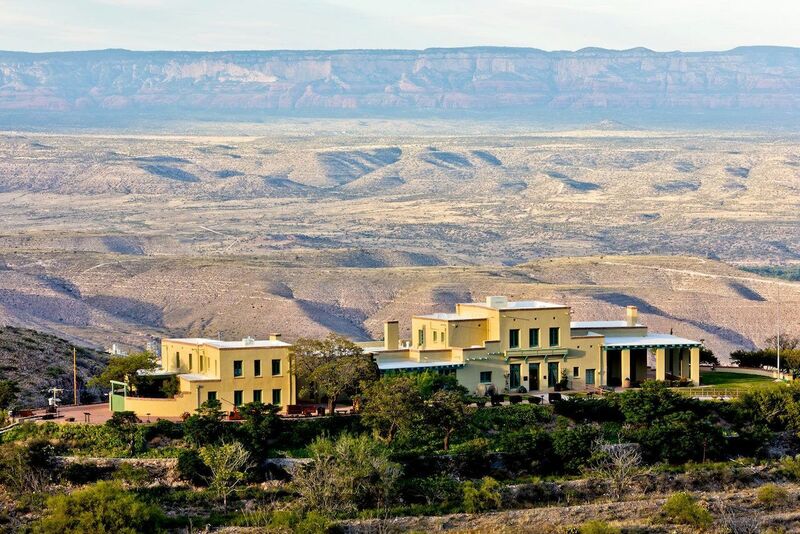 Enjoy the mountain landscape, canyons, hills and foothills, desert flowers, cacti, and wildlife. Bring a picnic, since the park has many covered tables. It also offers camping facilities, both for tents and RVs. Two explorers discovered the cave in 1974 on the land of the Kartchner family. 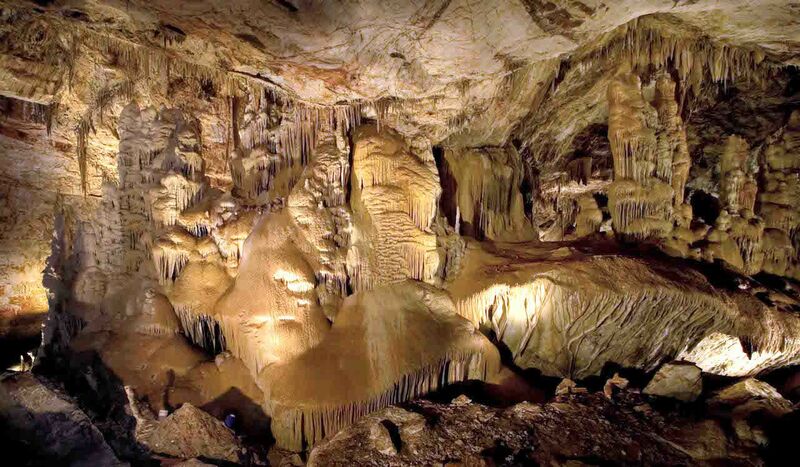 The cave became a state park in 1988, but only opened parts of it for visitors in 1999, and the rest only in 2003. They developed trails, to make sure the formations stayed intact. The Rotunda Throne Room is the most striking and best-known area inside the caverns, with the bell canopy and other unique formations. There is one of the world’s longest soda straw stalactites, and Khubla Khan, the tallest column in Arizona. Homolovi means “Place of the Little Hills” in Hopi. The park preserves an ancient site of the Hisat’sinom. 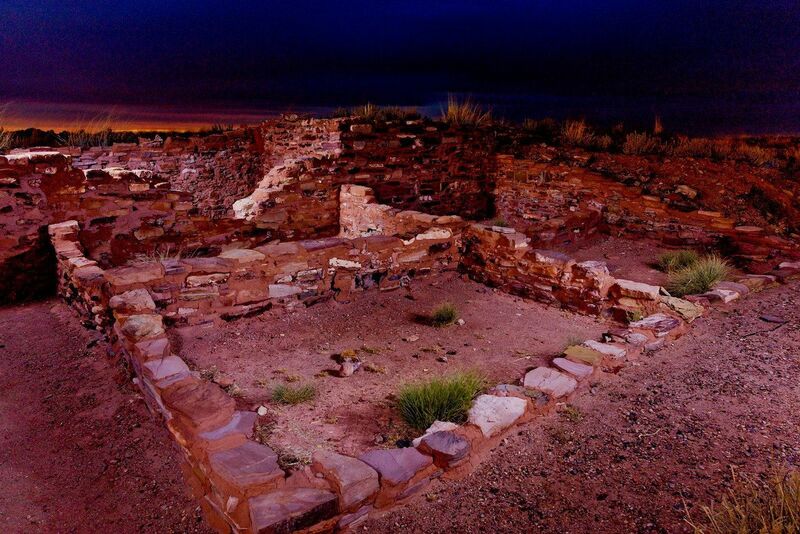 and it also serves as a center for research for the migration of the Hopi. The main trail, Homolovi II, takes the visitor through the largest of the sites, with close to 2,000 rooms. Other trails give you the opportunity for wildlife and petroglyph viewing. Stop at the visitor center and the museum to learn about the site, and have a picnic at any of the shaded tables. Jerome was once a mining town. The Jerome State Park, opened in 1965, is in and around the Douglas mansion, a landmark of the town since 1916. Learn about turn-of-the-century mining and the history of the town. Watch the video and 3-D scale model of the town with the underground mines, enjoy the library set up as a period room, then go outside to look at the 1900s ore cars. Have a picnic among great views of the surrounding Verde Valley. The Boyce Thompson Arboretum is Arizona’s oldest and largest botanical and was founded in the 1920s by Col. William Boyce Thompson. During your visit, you’ll learn about plants and cacti from the Sonoran, Chihuahuan, Australian and South American Deserts. Stop at Ayer Lake, and continue through the Queen Creek Riparian Area. Enjoy the cooler temperatures in the shadows of the huge boulders. Before leaving, stop in the Eucalyptus forest. Enjoy a great day outdoors while learning about the vegetation and habitats of the deserts.